Ben Askren has wasted no time in taking aim at the UFC's welterweight division. Askren has long been touted as one of the greatest fighters of all time who had never competed in the UFC but that's about to change as the undefeated American is set to be part of a historic trade deal. According to several reports, the UFC are set to trade their former flyweight champion and pound-for-pound great, Demetrious Johnson, for ONE Championship's Askren. 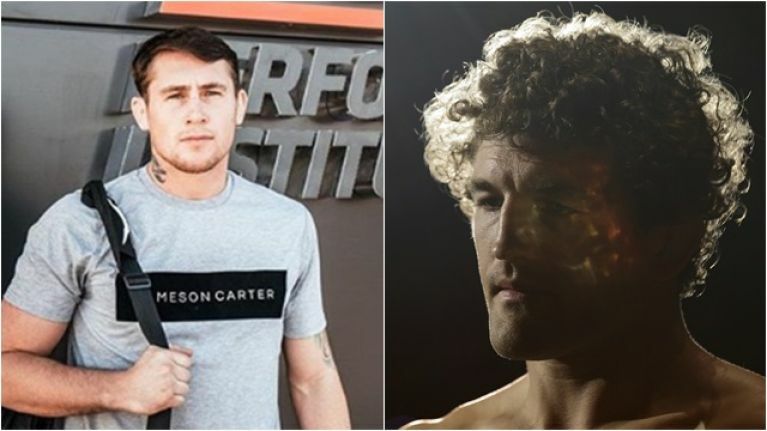 Askren is set to vacate his ONE Championship 170lbs title in order to test his mettle against the UFC's elite and several fighters have already been targeted. Liverpool's Darren Till, who is fresh off the first defeat of his mixed martial arts career, was one of the first to respond to Askren's goading. Askren remains unbeaten and it will be intriguing to see how the UFC match him up for his Octagon debut. While Till would represent an interesting opponent in terms of the different skill-sets possessed by the fighters, Askren is not solely focused on 'The Gorilla' as he has started wars of words with the likes of Georges St-Pierre, the Diaz brothers, Jorge Masvidal, Mike Perry and Colby Covington. At the age of 34, Askren clearly wants to get busy solidifying his legacy with some wins in the UFC before the time comes to hang up his gloves. There is no shortage of fascinating fights at welterweight and there have also been rumblings of the formation of a 165lbs division, where 'Funky' could potentially meet Khabib Nurmagomedov. Few mixed martial artists are able to retire without a loss on their records but given Askren's grappling prowess, it's definitely not outside the realms of possibility to see him walk away from MMA unscathed and undefeated. We just can't wait to see him set foot in the Octagon.